Home / blog / Transform Your Life from Yoga Retreat! 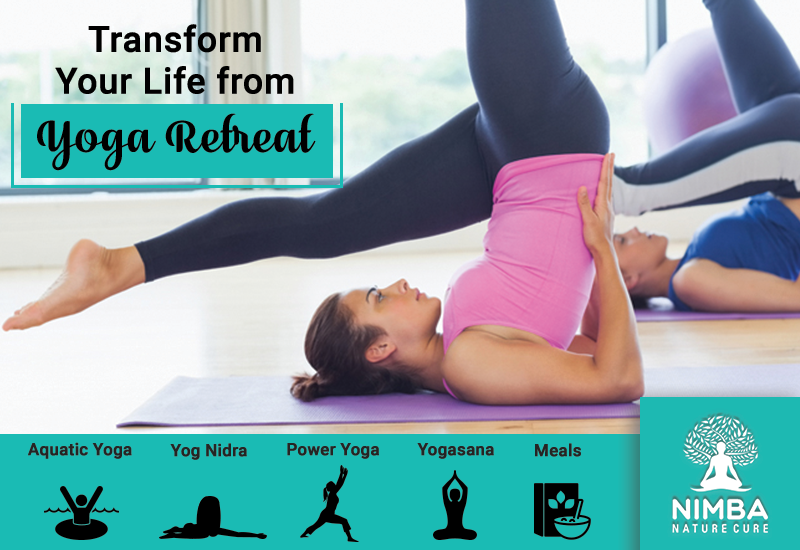 Transform Your Life from Yoga Retreat! The introduction of the magnificent term “Yoga” dates back over 5000 years ago. Beginning with the Vedic period and prevailing till date in the modern era, Yoga has emerged as an essential factor for healthy living and wellness. The roots of Yoga can be traced back to the Vedas, the Indian culture, ancient religious texts, and scriptures. The history of Yoga can also be traced to Buddhism as Lord Buddha himself emphasized the importance of meditation and inner peace in our lives. And the best way to attain inner peace is via Yoga. The term Yoga itself is derived from the Sanskrit word “Yug” ( युग) which means “join” or “concentrate”. All in all, Yoga today and always has implied the unity of your strengths and powers at one place. At different points of time, Yoga has evolved and shaped into what it is today. If we turn back the pages of the history of Yoga, we can actually find that it was divided into five prominent time periods. Vedic (the period of the Vedas) – the era of Vedic Yoga or Archaic Yoga. The pre-classical era during the time of Upanishads. It was recognized by karma Yoga, jnana Yoga (six fold Yoga path for liberation) and bhakti Yoga (for devotion). The classical era that was marked by Patanjali (known as the father of Yoga), the raja Yoga and the Yoga sutras. The post-classical era that was recognized by the teachings and preaching of Vedanta (the divine soul, harmony in religions and unity of mankind), Hatha Yoga (pranayama, Samadhi, and asana) and Tantra Yoga. Now Yoga has widely gained respect, renowned and accepted worldwide. It is referred as an effective tool for curing diseases, ailments and maintaining well being. When you have learned every single nook and cranny of Yoga and have been benefited from its effects, it’s time that you pass on the goodness. A Yoga retreat is an amazing concept of focussing on Yoga and its different methodologies, gathering a group of Yoga enthusiasts and traveling to different places for practicing and teaching Yoga. This concept promotes wellness tourism alongside Yoga retreat. And thus, it forms an exciting package of wholesome goodness. You get to travel different places as well as teach and spread awareness regarding Yoga. If you are looking for an exotic destination where you can learn and practice Yoga and indulge in some wellness therapy alongside, then Nimba Nature Cure Village is the ultimate destination for you. Nimba is a renowned name for its variety of packages in wellness retreats in India. Yoga and meditation retreats are a newly introduced concept in India and Nimba Nature Cure Village claims to be a hub for the same. It offers wellness travel opportunities with a group of Yoga and meditation enthusiasts. You can enroll yourself, learn Yoga and meditation and then be a part of the Yoga and meditation retreat programmes by Nimba. It is the best place for naturopathy, healthcare and wellness tourism and retreat programmes. Try it yourself and embrace a healthy, balanced lifestyle @Nimba!